At 1,979 feet, Mt. Arvon is the highest point in Michigan. It’s in L’Anse Township in the Upper Peninsula — a four hour drive west of the Mackinac Bridge. To get to the top in March, you have to take a snowmobile ride that’s just long enough to chill you to the bone. It’s quiet at the summit, with a view of Lake Superior. There’s a guest log for visitors to sign. Burt Mason looks around proudly. “It’s not what we’d call a giant mountain, but it is special to us,” he says. Mason moved to this area five years ago from downstate, drawn by the forests and recreation. Now, he’s fighting what he sees as an industrial threat to the landscape. An international energy corporation wants to put a wind farm in the forest surrounding Mt. Arvon. The 49 proposed turbines would be spread across a 28,000-acre site in the Huron Mountains. The company, Renewable Energy Systems (RES), declined a recorded interview, but on its project webpage says the turbines and roads would take up less than 1% of the project site. It also says the project would provide tax revenue to local government. But Mason is worried a forest peppered with wind turbines would damage tourism and the local ecosystem. He’s the president of Friends of the Huron Mountains, a non-profit dedicated to fighting the wind farm proposal. “I’m not against wind turbines, but it just seems like the wrong area to put them in,” Mason says. Though it’s one of the windiest spots in Michigan, the site used to be mediocre for wind power compared to other places in the country. New technology and taller turbines have changed that. But the project is still unique — most of Michigan’s wind development is downstate. Why try to put a wind farm in a U.P. forest? The company’s website mentions “distance to residences” and “capacity on the existing grid” as reasons for the proposed location. Sarah Mills is a researcher at the University of Michigan’s Center for Local, State, and Urban Policy. She studies renewable energy in rural communities in the state. Mills says wind energy requires a lot of land, because you need space for the wind to regenerate in between the turbines. That usually means working with many landowners. But this project site is almost entirely owned by one timber company, Weyerhaeuser (which also happens to be the country’s largest private landowner). “It’s really challenging to get all of those landowners on board, and so I can see the benefit of finding a single private landowner who is willing to offer up their land for that,” Mills says. Mills specializes in community reactions to wind farms, and says that while they can be a big economic opportunity for cash-strapped local governments, some places will view them as a burden. Mills agrees that it raises big questions about which communities should carry the load (if that’s how they see it) to solve the problem of climate change. The project site also happens to be right next to the L’Anse Indian Reservation, home of the Keweenaw Bay Indian Community. Tribal Council President Chris Swartz is concerned about turbines on land where the tribe retains treaty rights, and where many tribal citizens actively harvest. “It certainly has the potential to limit the ability of my people to hunt, fish and gather,” he says. The tribe’s natural resources department researched the possible environmental impacts, and found that the proposed wind farm will not follow some guidelines published by the U.S. Fish and Wildlife Service. Perhaps most worrisome to them is that the wind farm proposal is close to bat hibernacula — places where bats hibernate. The tribe does yearly bat surveys, and their data show bat populations in the area are already suffering, likely from white-nose syndrome. The fungal disease is one of two leading mass-killers of bats globally. The other is collisions with wind turbines. Renewable Energy Systems’ website says the company does plan to adjust operation of the turbines during the fall bat migration season, in accordance with voluntary industry guidelines, which claim to reduce bat deaths by about 30%. The tribe is also concerned about erosion from road construction and habitat fragmentation. Chris Swartz emphasizes that they are not opposed to renewable energy. But the tribal council has passed a formal resolution opposing this particular project. “I informed my council about it, and they said, ‘you know what, Chris, it sounds like these aren’t right for our area,’” he says. When RES first proposed the project, L’Anse Township realized that it had conflicting zoning ordinances on the books. One said wind turbines were allowed, and another said they weren’t. The township dealt with this by changing the ordinances to allow wind turbines, knowing a zoning change could lead to a referendum. 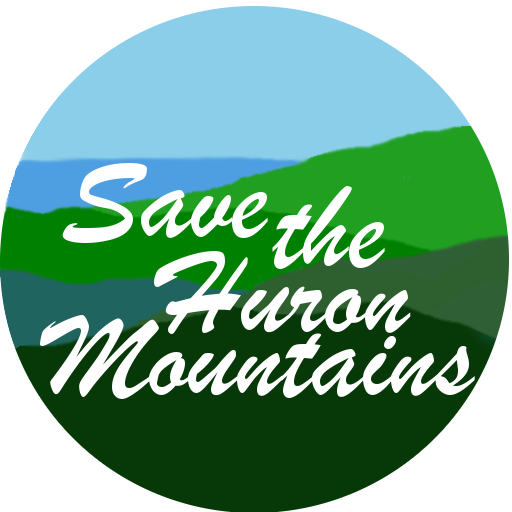 Friends of the Huron Mountains, the nonprofit opposed to the project, went door to door, and collected enough signatures to force a vote. Now, all residents of L’Anse Township will have the chance to weigh in. Burt Mason says most people he’s talked to in the area are opposed to the wind farm. “We’re going to have the referendum, that allows the public to say yay or nay to these zoning changes that have occurred. Either way, the people have spoken at that point,” Mason says. The referendum is scheduled for May 7, 2019. Mason says he will accept the voting result, whatever it is, and hopes that the local government will, too. L’Anse residents should not be the only ones who get to vote. This huge installment of gigantic turbines would affect all of us who love the forest, birds, bats and other living creatures that would be wasted. I feel strongly that the forests in the Huron Mountains should be protected from this type of exploitation and degradation. I understand the sentiment, but it is the way that Michigan Zoning laws work. It is unfair in some ways, but much better than other states where there is No local control.